Party People and Bob Bonkers can provide a package to suit most occasions, be it a Halloween disco, Christmas magic show or Balloon modelling for a school fun day. 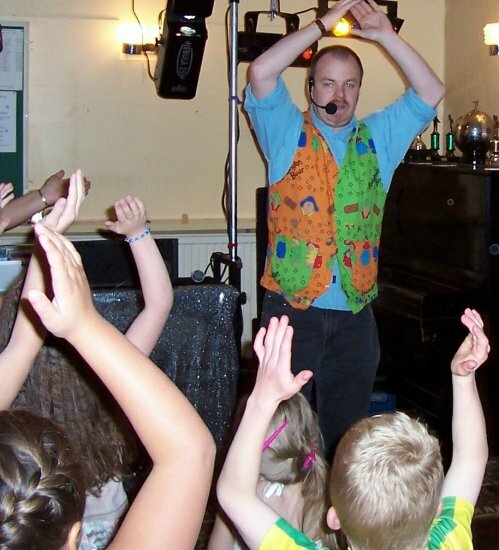 Bob can provide interactive fun and lively magic shows with a specialist theme, such as a Christmas or Halloween show. Bob Bonkers can also provide a tailor made show with an educational theme such as road safety. Ensuring the children learn your important message whilst having fun and being entertained. His show is guaranteed to grab their attention and help enhance their learning experience. If you are having an evening event Party People can provide you with a totally interactive disco full of dancing, games, and competitions including lighting effects and Bubble or snow machines. Bob Bonkers will organise all the games and competitions and also shows the audience how to do the dance moves. The only thing the teachers have to do is join in with the fun. For your school fun day why not add something special with balloon modelling. This is always great for grabbing people’s attention and can also be a way of raising extra funds at your school event.